Cozy forest days are ahead as summer comes to end! As fellow animal lovers, we have always been obsessed with the idea of creatures being incorporated into weddings. (Hopefully you've picked up on that if you're a longtime reader!) And the woodland trend isn't going anywhere anytime soon as couples look to refine the rustic theme into a true elegant outdoor celebration. From hand-painted cake toppers to mossy ring boxes to chic acorn pearl necklaces, there's a little bit of everything for anyone dreaming of tying the knot under a canopy of large oak trees and dancing the night away under glittering stars. Give nature a touch of wedding goodness and celebrate the beauty outdoors! Curated from Etsy, we explored to find our most elegant favorites for any bride or groom who prefers birdwatching and sharing morning coffee over the campfire. 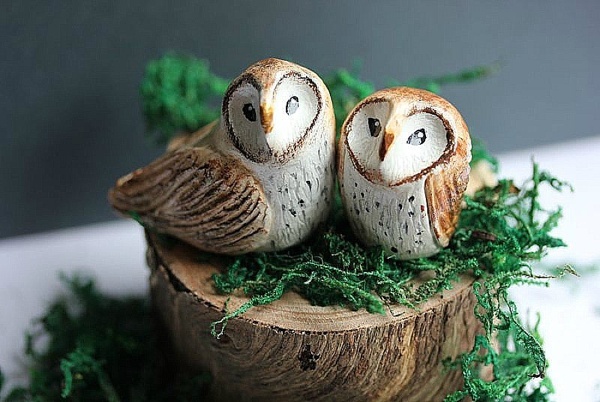 This adorably chic duo of owls is picture perfect on top of any rustic wedding cake! Hand-painted and sculpted, it becomes a beautiful keepsake even after the cake is cut. Hello, woodland sparkle! 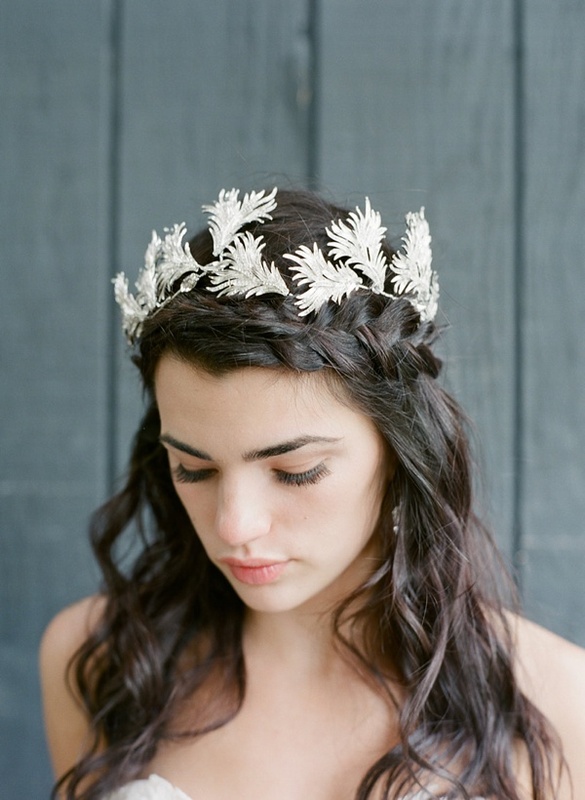 This flexible headpiece of bejeweled feather-like leaves is the perfect crown for any bride looking to make a statement in the forest, especially if she is channeling the goddess of wisdom, Athena (who is symbolized as an owl in Greek mythology!). 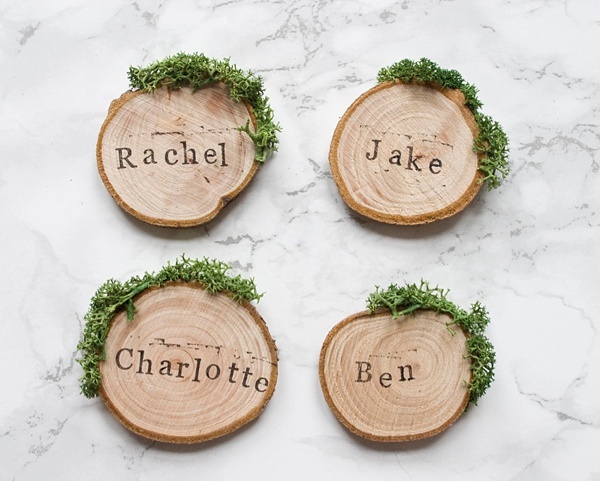 Place these small personalized wood slices as your guests' table settings for an elegantly rustic touch! Doubling as a wedding favor, it's at least sure to bring a smile and set the tone for a night in the woods! 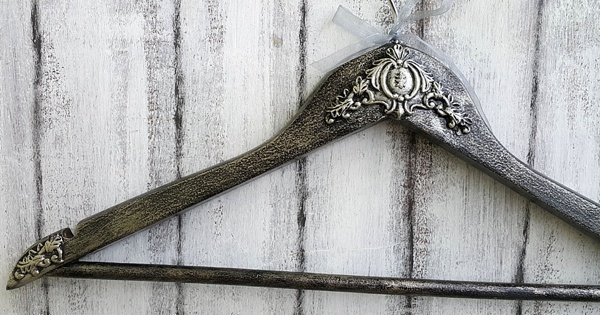 This pewter-like wooden hanger is expertly crafted to remind us of fairytales and woodland romance. Since it's handmade, custom touches can only help elevate it to your theme preference! Any gown or suit would look oh so chic hanging on this beauty! 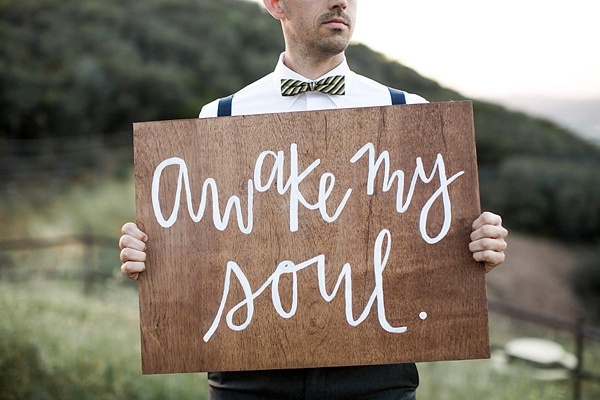 The wood material is a given when you're out in nature, so adding wedding decor made with it is practically necessary! This elegant wooden sign mirrors many nature lovers' sentiments when outdoors. There's just something about the environment that will always invoke inspiration. Bring a little moss to your ceremony! 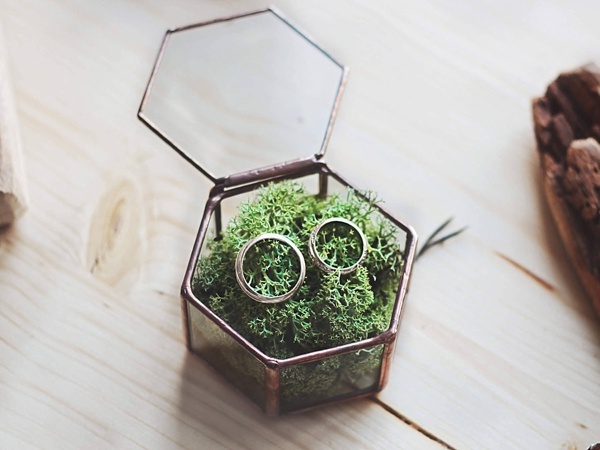 This beautiful glass box is perfectly sized to hold your wedding rings. Whether you have a ring bearer or have them sitting at the altar already, it's such a lovely memento to reflect the woodland vibe. We're suckers for linen! 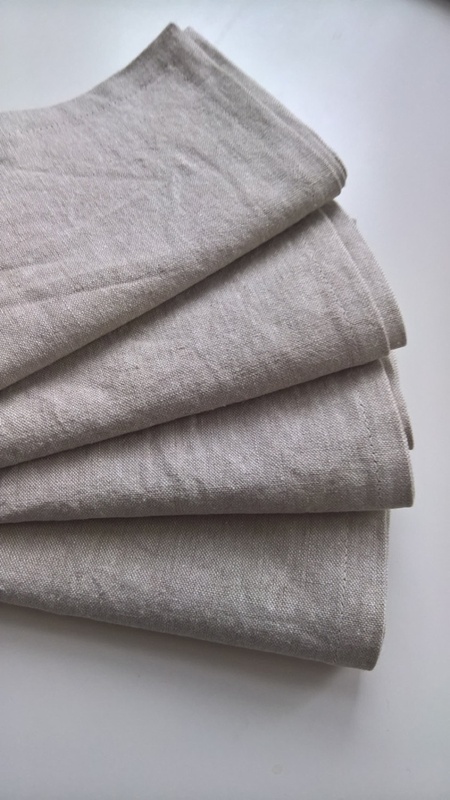 Eco-chic and durable, these dark beige napkins would be gorgeously paired with an ivory-colored plate and wooden charger. Have your florist create a timeless greenery centerpiece, and you've got yourself a breathtaking wedding table! 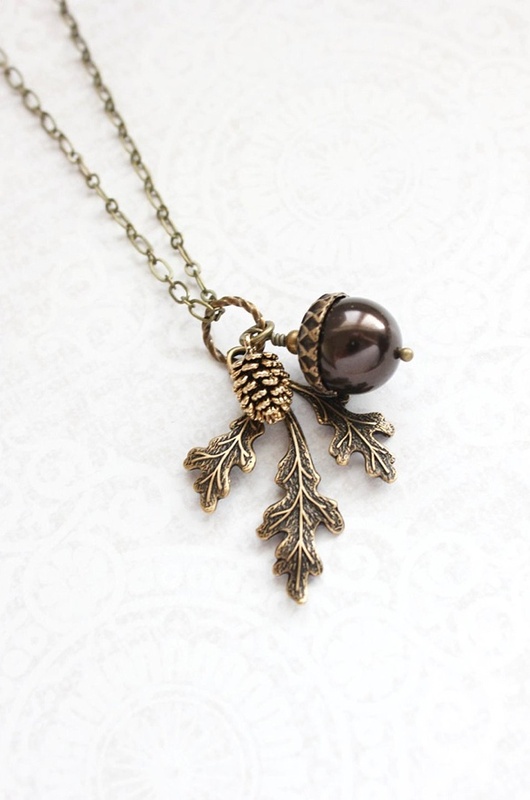 Delicate and earthy, we love this brown pearl necklace paying homage to the oak tree with its acorns, and it makes the perfect woodland look for the bridesmaids walking down the aisle with you! Love our picks? Follow us and get more curated unique rustic wedding goodies on our dedicated Etsy Page!